While my girls feel excited that school's almost over for the year, I plan to encourage them to keep learning throughout the summer. I can hear them groaning right now, but kids who don't continue to learn over the summer score lower on standardized tests and could lose up to two months of reading and math skills. For these reasons, I found nine fun ways for my girls to engage in learning as they stay active and have fun this summer. All forms of play help kids learn while they have fun. I plan to give my girls opportunities for free play, and we'll build block castles, ride bikes, and play ball together. Water plays a big role in our summer fun. Swimming in the community pool does more than entertain my girls and teach them water safety, though. They also learn to set goals as they develop their swimming skills, practice their social skills, and get physical exercise. All of these benefits can translate into success when school starts again. I'm always amazed at the education we receive when we hike. 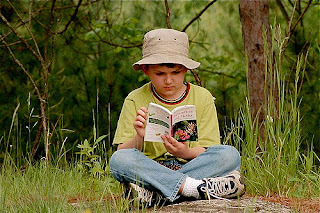 Thanks to books and the Internet, we discover details about science, wildlife, topography, plants, and birds we see while enjoying the great outdoors. As a bonus, the physical activity helps us retain all the fun facts we learn and observe. Our local library sponsors a summer reading program for kids of all ages, and my girls will definitely participate this year. Usually, they get to pick the books they read, but I also have a few age-appropriate classics I want to introduce them to this year. Reading engages their mind, teaches them facts, and is fun. One of my girls is obsessed with soccer, so I will challenge her to learn more about the sport and her favorite players. She's already eager to explore the origins of the game, the geography of countries where soccer is popular, and details about playing technique. Your child will also learn and have fun whether they study and explore cars, Pokemon, or cupcakes. I wish we could spend all summer outside, but I have several craft projects lined up for rainy days. We'll make bubbles, create clay art, and paint. As my girls enjoy craft activities, they also develop their self-esteem, self-regulation, problem-solving, and creativity skills. We already decided to visit several local museums this summer. I plan to connect the art, artifacts, and textiles we see with information my girls learned in school. We'll also have fun with a scavenger hunt as we find different colors, shapes, and objects. I know the value of knowledge, but skills like compassion and empathy are also important, which is why we will volunteer this summer. So far, we're set to babysit for a neighbor, help with games at a kids camp, and pet-sit for a friend. These and other acts of service can help my girls discover the value of helping others as they hone important life skills. Each summer, we create a journal so my girls can remember all of the fun activities we enjoyed together. Each girl takes turns writing about our daily activities, which helps them practice writing essays. They include pictures and drawings, too, as they record our summer adventures. This summer, my girls will keep learning as they have fun and stay active. So far, we plan to engage in these nine activities. 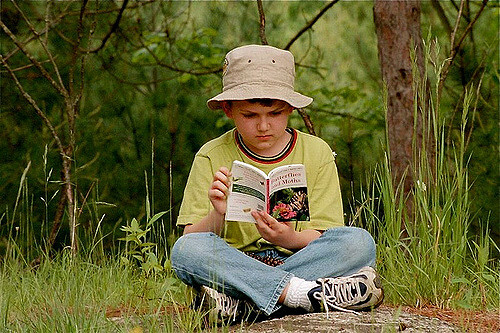 In what other fun ways do you encourage your kids to learn throughout the whole summer?